A Raised garden bed is a form of gardening where the soil is raised above the ground and is usually enclosed by a frame. This frame can be made of wood, rock, or concrete. Here the soil is formed in beds. You can make a bed of any sizes or shape but are usually about 3-4 feet wide. You can add compost to nourish these beds. Raised garden though can be a labor-intensive work provides many benefits. They are very functional, especially if you have poorly drained soil. But their advantages make them a good choice in many gardening situations. Raised garden beds Improve soil drainage. Soil compaction is far less compared to the traditional way of gardening. When you grow plants in a raised bed it is always easier to control weeds. 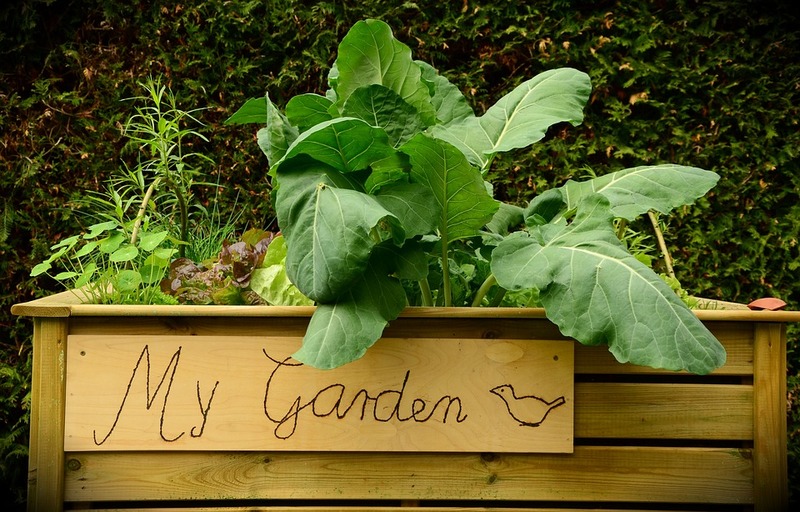 Raised garden beds give warmer soil temperature than traditional gardening in spring. Beds are easier to access. When you grow plants in raised gardens you prevent soil erosion. And finally, garden beds looks aesthetically amazing. 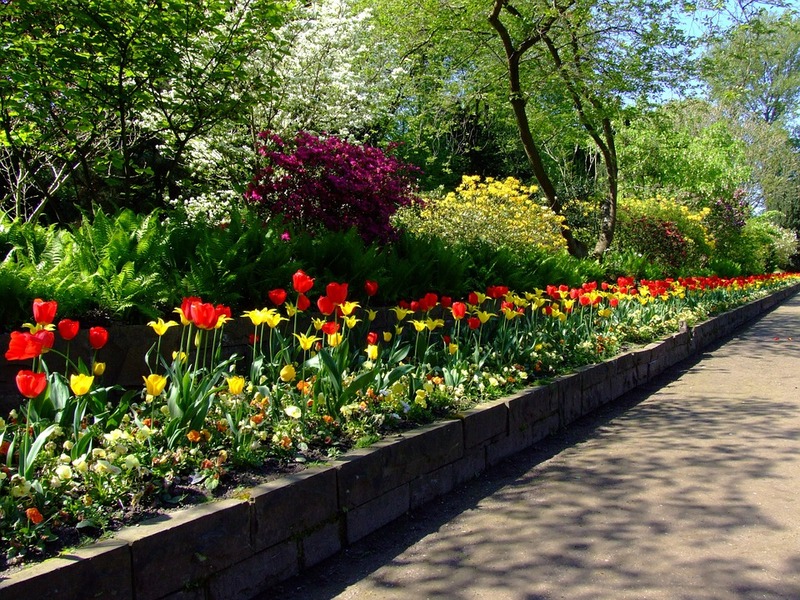 It will increase the overall beauty of your garden. The first step of building a raised garden bed is to finalize the location. Once you have decided, mark the outer dimensions of the bed. If you have planned for more than one bed, be sure to keep paths between the beds. 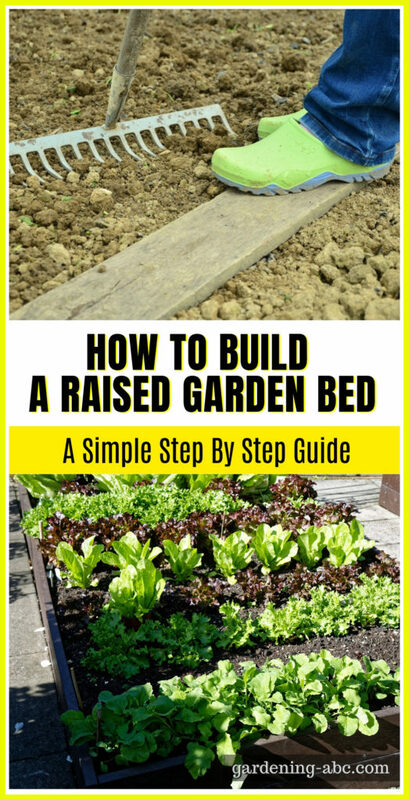 Ideal area of a raised bed is 1 square meter. If your bed is wider than 1.2 meters you will find it difficult to reach accross without treading on the soil. Keep a gap of half a meter between the beds for movements around the beds. Garden bed materials can be of various types. You can make a raised garden from wood, bricks, or off-the-shelf raised garden bed kit. In most cases, the beds are 15-30 cm in height as most of the vegetables don’t need more than 30 cm of soil-depth. Before putting the soil into the beds you need to kill the weeds in the area you have planned your bed. The best way to do this is to first till the area with a tiller or plow it (in case the area is larger). Next, add a thick layer of compost and till again. You can also add layers of newspaper or cardboard to cover the area before tilling the soil. It will kill most of the weeds in the first place. Weeds that have deep roots or runners can be killed easily by this process. After covering the area with compost add some water to the soil and till it a bit. This will make the weed seed (which are present in the soil) to germinate. Once they germinate, till it once more. This total process of watering and tilling you need to follow quite a few times. After making sure that there are no more weed seeds present in the soil, you can use your vegetable or other plants. Try not to use seeds at first and go for transplanting in the first year. After that, you can use seeds as per your liking. Another way to get an instant garden bed is to cover the whole area with the topsoil bags which are readily available at any garden store. Never use the cheap quality product but go for the brands which are known for their product quality. Cut one or two areas of each bag and plant your seedling or seeds there. After covering the whole area with topsoil bags, cover the exposed plastic area of the bag with a thick layer of Mulch. Now you have it, your own garden bed. This type of permanently raised bed gardening is always helpful and it also makes the surrounding soil much more fertile and healthier. 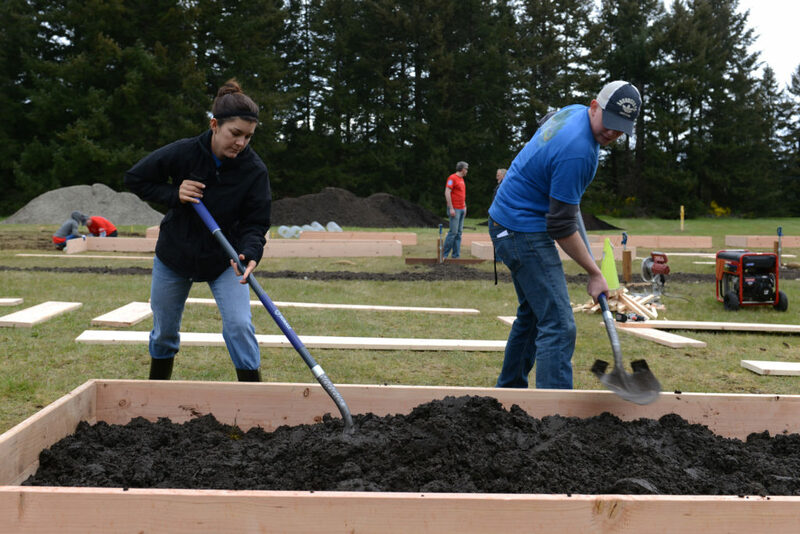 The best part about garden beds is that you can make them any size you want, and they also warm up faster than normal soil. Keep enough space for walking, beside the garden beds and never walk on the beds. Any plant that is normally planted in the ground can be planted in a raised bed. Raised beds are also a good option for containing plants that spread aggressively by underground stolons, such as mints. A raised bed is very adaptable. You can easily change its size, soil, and location, and can grow a wide range of plants of various habitats. Try to avoid building raised beds around existing trees and shrubs. Like your normal garden soil, garden beds need regular fertilizer and pH balance. Do a soil test first to determine it’s current condition, then adjust accordingly. Keep adding composts at regular intervals. It will keep the beds fertile. In the first year, it is recommended to add 4 to 6 inches of compost. In the subsequent years, ½ inch of compost will be enough to provide the required nutrition to the plants. As garden beds are generally small in size, overhead irrigation is not a good idea for watering the soil. You can either go for hand watering or drip irrigation. Use mulch to reduce the frequency of watering. If you are willing to invest in raised bed garden design, you will enjoy increased control over growing plants. It becomes very easy to manage drainage and aeration in the soil. A loose, open soil enhances root development. Geometrically designed raised garden bed plans would add a pleasing, semi-formal effect in your home landscape. Have you prepared your garden beds yet? Share your experiences with us.